The Chairman of the Bishops’ Council for Justice and Peace has described the death and destruction being witnessed in certain parts of the Middle East as “truly shocking and heart-breaking”. 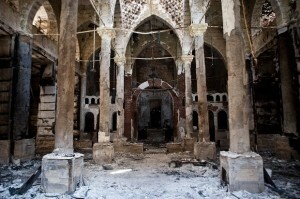 In a statement issued on Tuesday, Bishop John McAreavey said the plight of persecuted and endangered Christian communities in the Middle East is a particular challenge to the whole world. He invited all Christians and all people of goodwill to join in solidarity with all who are suffering in the Middle East and to pray for an end to the conflicts in Iraq, Syria, Palestine and Israel. He urged people to pray both personally and at Masses, for peace and justice in these lands. 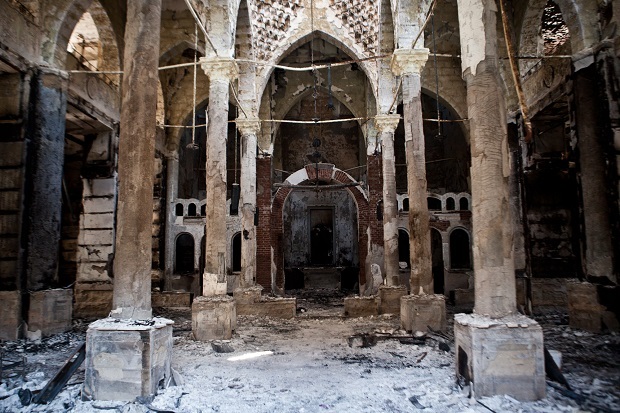 The Bishop of Dromore warned that persecution of some Christian communities in Iraq has reached new levels and for the first time it is reported that there are no longer Christians in the city of Mosul. “The horrific ongoing war in Syria and the terrible bombing and ground offensive in Gaza and Israel, have claimed the lives of too many people,” he said. The Bishop underlined that it was children and families that are being particularly affected by displacement from their homes and destruction of livelihoods. Referring to the plight of persecuted and endangered Christian communities in the Middle East, he said it was a particular challenge to the whole world. Bishop McAreavey called on the international community not to tolerate the denial of basic human rights and to protect the safety of those trapped in the conflict zones, as well as those who risk their lives to bring much-needed humanitarian aid. He referred to Pope Francis’s words in which he said: “Prayer helps us not let ourselves be defeated by evil or resign ourselves to violence and hatred having the upper hand over dialogue and reconciliation”. Special prayers for peace are to be circulated to all parishes for use this weekend.